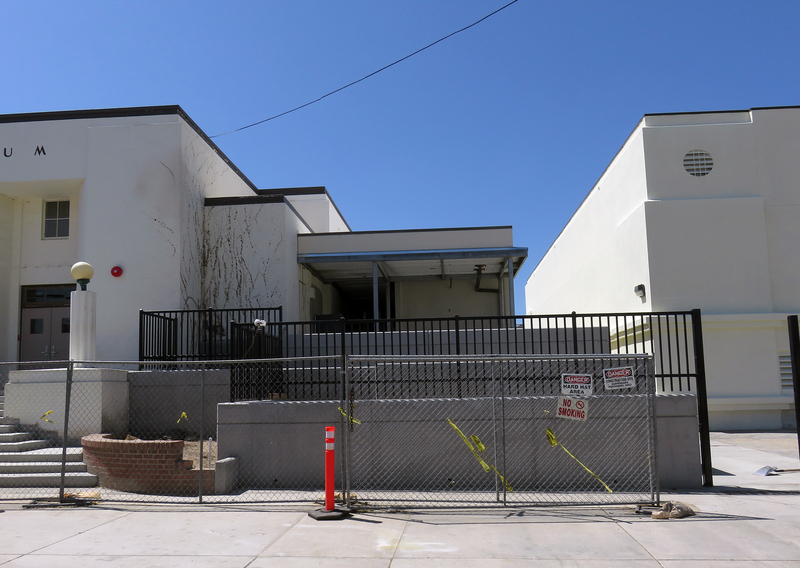 SCVHistory.com LW2961a | Newhall Schools | Refurbishment of Newhall School Auditorium, 2015-2016. 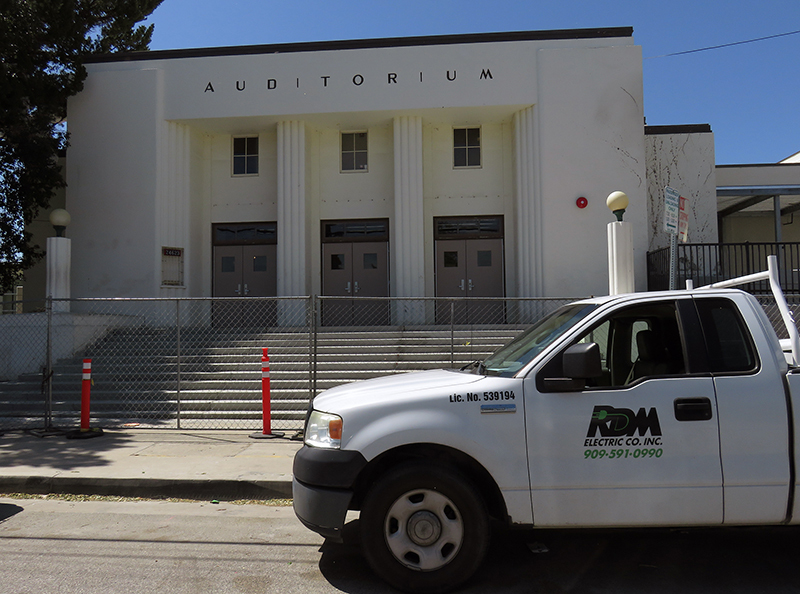 March 30, 2017 — Work progresses on the transformation of the 1941 Newhall School Auditorium into a viable performing arts venue. LW2961: 9600 dpi jpegs from digital images by Leon Worden.